Our range of products include manual impulse sealers, continuous band sealers, foot operated sealing machine, cup sealing machine, meal tray sealing machine and continuous band sealer with n2 gas flushing. ss 304. We have marked a distinct and dynamic position in the market by providing a high-quality Manual Impulse Sealers. 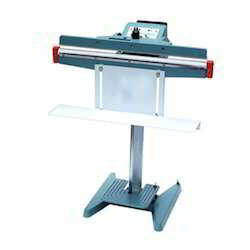 This sealer is designed by utilizing the best quality material and sophisticated technology. Offered sealer is used to seal bags for a great variety of industries and applications. The operator places the bag over the sealing element and lowers the upper jaw thus activating the unit. We have established ourselves as a recognized firm, engaged in offering a superior quality Continuous Band Sealers. This band sealer is designed to seal any thermoplastic material, including Polyethylene, Polypropylene, and laminations containing foils. Offered band sealer is used for increasing production speeds in semi-automatic bag sealing applications, where automation is not possible. 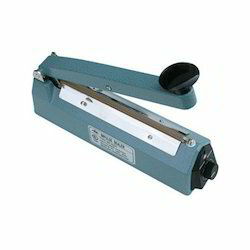 Additionally, we offer this band sealer in various specifications according to the demand of customers. Owing to the presence of our expert engineers, we have been able to manufacture and supply a qualitative range of Foot Operated Sealing Machine. 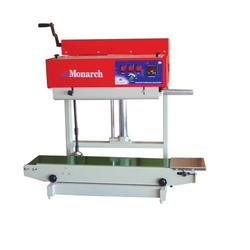 The offered sealing machine is designed with finest material and sophisticated technology under the direction of our professionals. Offered sealing machine is inspected by experts before dispatching at customer's end. 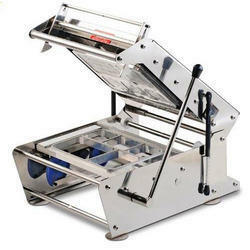 This sealing machine is available in numerous specifications according to the needs of our clients. 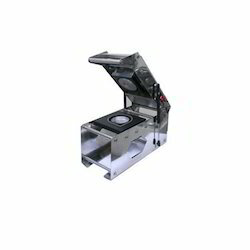 We are the leading enterprise indulged in providing supreme quality Cup Sealing Machines. Our Cup Sealing Machines are used for sealing all shapes and sizes of containers to prevent spilling and leakage. It is manufactured using optimum quality raw material and utilizing the latest technology. This machine is easy to operate, is light in weight and demands low maintenance. We offer these machines to our clients at best rates in the market and ensure fast delivery. 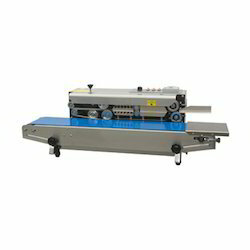 We are one of the largest firms instrumental in offering Meal Tray Sealing Machine. The offered product comes with latest spring system which makes it easy to operate by anyone. These machines are ideal for packing food trays in hotels and restaurants. It is made from stainless steel which ensures excellent quality and productivity of the product. They are manufactured following the latest industry norms. The offered machine is tested against different quality measures before reaching the market. Nitrogen flushing to protect food from moisture or pillow type, leak proof & accurate sealing. Pillow pack is maintaining the freshness, aroma, crispiness for long time. Save the product from breakages & damages during the transportation. The nitrogen flushing & sealing control through adjustable digital timer. Design in made in such a way that operation is quite easy & feel comfortable for continuous long running. Suitable material for Sealing: BOPP, Multilayer, Laminated, polyester poly, Aluminium foil.